Strong businesses start from a strong foundation, and when it comes to Employment Law there are no shortcuts. 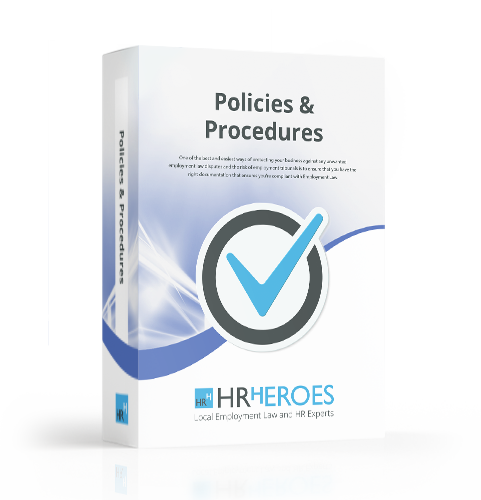 At HR Heroes we’ve designed and written all of our documentation to be compliant with Employment Law and easy to use for small businesses and their staff. Our Complete HR Package provides you with all the documents that are available in our HR Document Library at a significant saving compared to buying the documents individually. From Job Offer Letter Templates, contracts of employment and appraisal forms, we have a letter or a policy that will help you navigate through the world of HR and Employment Law. For only £495 you can buy all of the policies,contracts, letters, templates and Log’s your business needs to ensure your complaint with legislation, which, compared to the £3000 you would be charged by a solicitor, provides you with huge cost savings. Protect yourself and your business with our Complete HR Package with just one click.